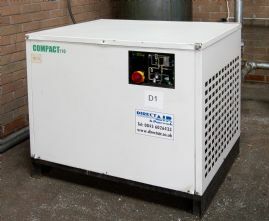 Compact 110 Air Dryer to suit a Compressor. 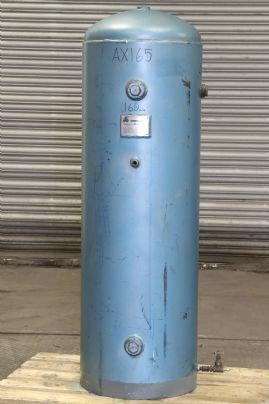 This refrigeration dryer demonstrates that combining a proven concept and energy saving strategies while using frequency converters for controlling compressor speeds is an ideal solution. 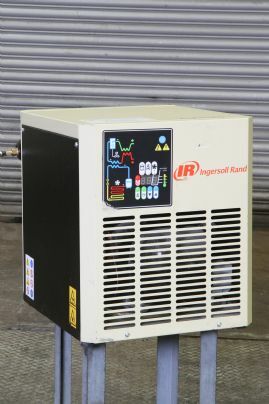 The Ingersoll Rand D Refrigerated Dryer Range unit is a compact, complete and affordable industrial solution. 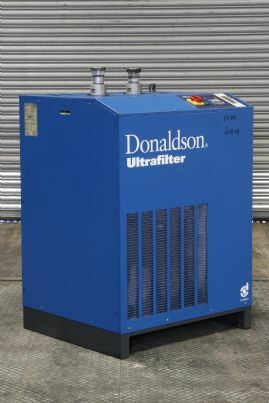 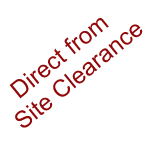 This high capacity unit is designed for large-scale industrial applications. 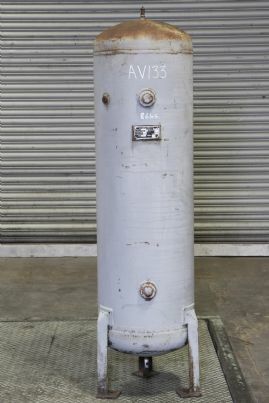 Vertical Air Receiver - 230ltr capacity rated to operate at 12 bar, and fitted pressure relief valve.